Colocation America maintains one of the largest and most secure carrier-neutral data centers in the industry, and can now offer you all the bandwidth you’ll ever need. With 12 different carriers delivering 24Gbps of bandwidth into a fully meshed and redundant network data center, Colocation America is able to provide the bandwidth you require to manage your business, at a very competitive rate. The second largest aspect of the billing and pricing of collocation services is what they typically refer to as bandwidth charges. This is somewhat misleading of a name because bandwidth typically refers just to the amount of possible data per second that the connection can handle but what the providers are referring to is the amount of data transferred to and from the server for the given billing cycle. Most providers will include a base amount of data transfers with the basic package and will be referred to by the number of gigabytes (GB) allowed. This can be as small as 2GB per month or as high as several hundred. The providers will also have a fee that will be charged to the customer for data transfers that exceed the amount of allotted bandwidth. Charges can range as low as pennies per GB to several dollars per GB. Be sure of what the rate is before signing any agreements. Actual billing of the bandwidth charges can be calculated one of two ways by the colocation provider. The most common method is called 95th percentile while the other is the straight data transfer rates. Small servers with low bandwidth usage will typically use the straight data rates while larger servers tend to use the 95th percentile. Let’s examine them in more detail below. What is the 95th percentile, and why is it useful in measuring bandwidth? The 95th percentile is the smallest number that is greater than 95% of the numbers in a given set. The reason this statistic is so useful in measuring data throughput is that is gives a very accurate picture of data center bandwidth costs. Suppose an ISP sells you a T1 line, but you’re only using it to access the web. Even though you might frequently download very large files (filling the pipe) your cost to the ISP is negligible, because your usage is intermittent. A single T3 connection to the backbone could easily support hundreds of such downstream customers, and never become saturated. As another example, suppose you are hosting a very busy web site that half-way fills your T1 for several hours every day. This type of bandwidth is more expensive, because your ISP can’t oversell their connection to the backbone as effectively. The important thing to realize is that it doesn’t cost your ISP anything to sell you a pipe of any particular size—it is the sustained rate of data transfer that costs them money. The sum of the 95th percentile usage of all of an ISP’s customers predicts the peak amount of backbone traffic that the ISP will incur (in a given direction). Now, this in general will benefit most individuals since most network connections are idle for the majority of the time they are idle. However, if a site has a high sustained data transfer rate that is used for more than 5% of the time the link is up, it can be very expensive. Let’s look at two examples using a shorter time span of 1 day to make it simple. As you can see, the consistent traffic with several days of busting traffic in the first example actually is more beneficial to the customer compared to the second example with its traffic that burst for more than 5% of the time. Thankfully, the majority of servers on the Internet are going to be similar to example #1 and not example #2. The following bandwidth pricing if for colocation and dedicated server customers. For connectivity outside Colocation America’s Data Center, please contact Colocation America. All customers will be on Premium Bandwidth by default. You may request to modify your bandwidth preference at any time. *In most cases, change of bandwidth preference to cost based routing from premium bandwidth or reverse does not require a change of IP address, but in some rare cases it may be required. 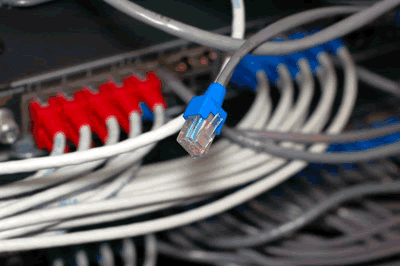 Get started with Colocation America’s bandwidth today!